Need laptop screen repairs or replacements in Windsor? 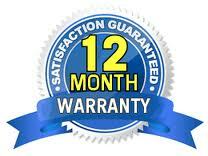 Laptop Screen Repair offers same day on-site service throughout the Windsor region. Not a problem! The qualified technicians at Laptop Screen Replace with work on-site at your office, home or school. We can replace your laptop screen from 8am until 8pm, 7 days a week, anywhere in Windsor. Same day service is guaranteed. Call us at 1300 829 893 or email us at info@laptopscreenreplace.com.au if you have any questions, or wish to arrange an appointment to have your laptop screen replaced in the Windsor region..